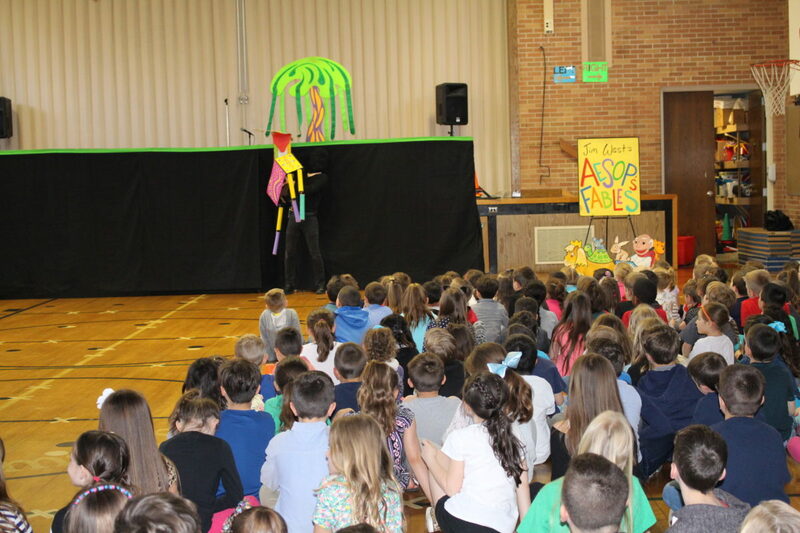 More than 500 Miller Place School District kindergarten through second grade students at Andrew Muller Primary School recently came together for a lively interactive puppet show hosted by Theatreworks’ Jim West. Acting as Greek storyteller Aesop, West and his dog Moral acted out Aesop’s Fables with large-scale colorful puppets. Some of the Fables West performed include ‘The Lion and the Mouse,’ ‘The Tortoise and the Hare’ and ‘The Fox and the Grapes.’ Students also listened to classical music from Scarlatti, Beethoven and Chopin during the show to engage their auditory learning. 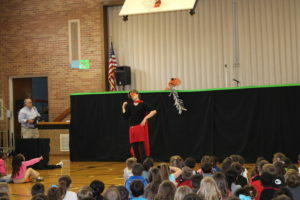 During the performance students were challenged to think of the message in each story. This program was part of a Miller Place School District initiative to engage students’ critical thinking through innovative programs.